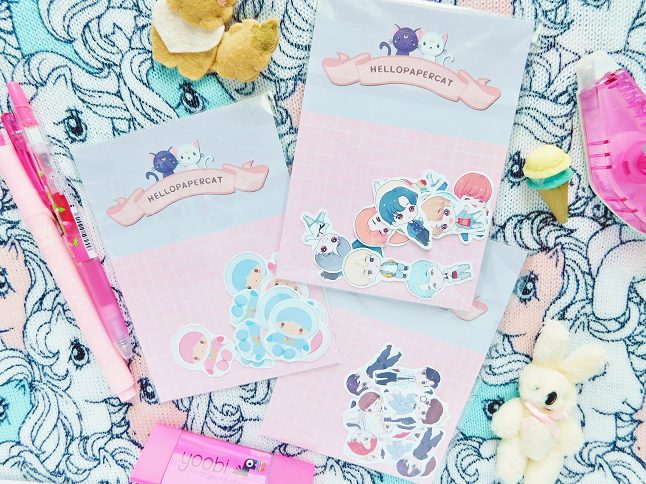 I have yet another stationery haul to share with you guys. I placed Hello Paper Cat order during Black Friday but I just received my package in the mail a few days ago. 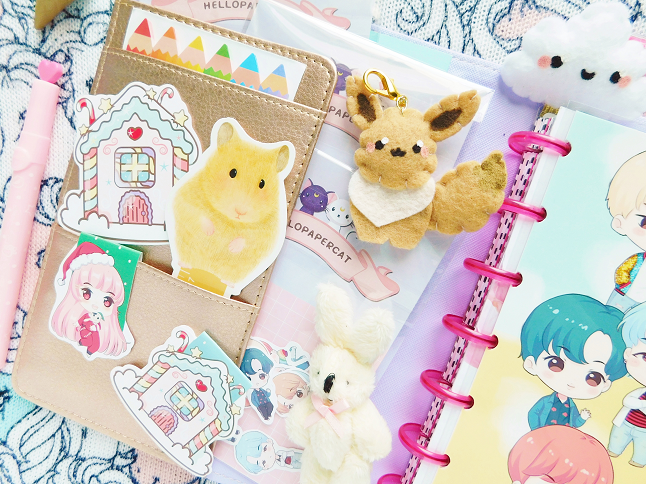 I didn't want to make this whole post just about one shop so I added a few other stationery bits that I've recently received. Both of these were freebies. 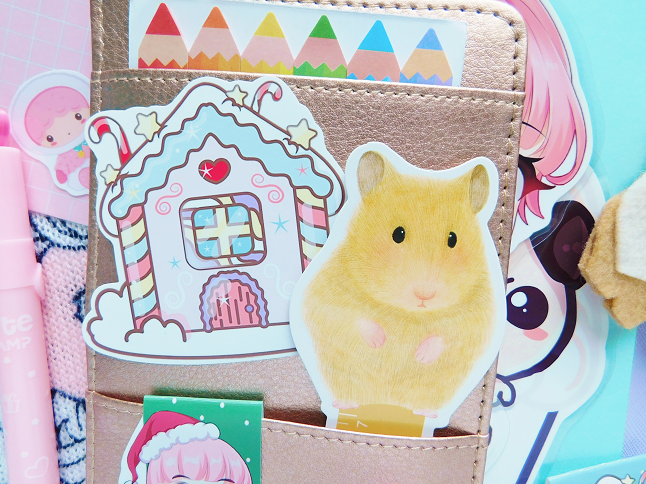 A pastel gingerbread house die-cut and a hamster bookmark. The bookmark came attached to the BTS cover which made me laugh. 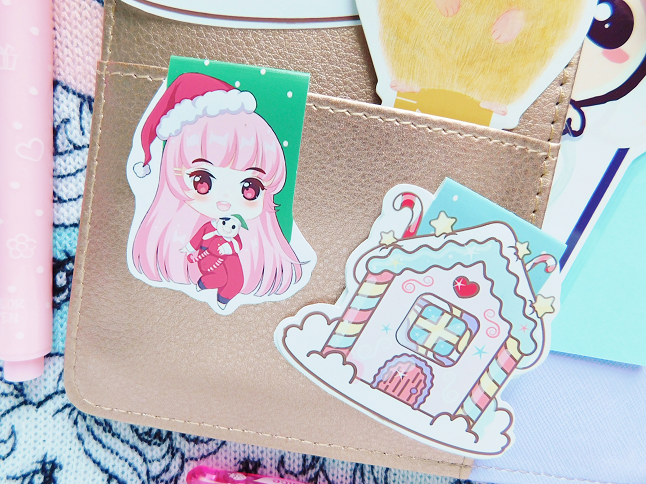 The only bookmark that I ordered was the Christmas Time Elodie but I also got a magnetic bookmark of the pastel gingerbread house which was really sweet of Seriya to add to my order. 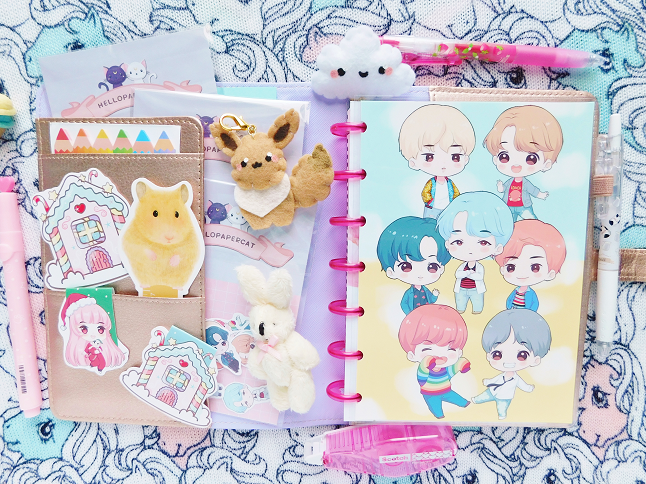 The first thing I added to my cart during the Hello Paper Cat sale was the BTS DNA planner dashboard. I know I will be switching to my medium Happy Planner for 2018 but I can still use my mini planner as a blog prop. I also ordered a lot of stickers this time. I choose the Twin Stars and both of the BTS sticker flakes. 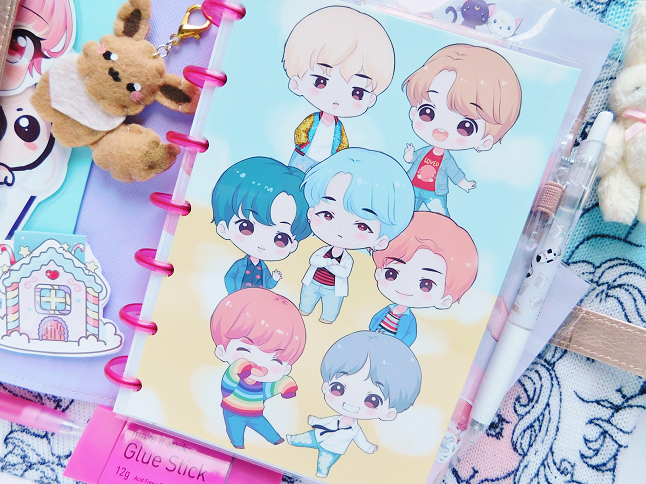 Can you believe I already used up all of my BTS sticker flakes! 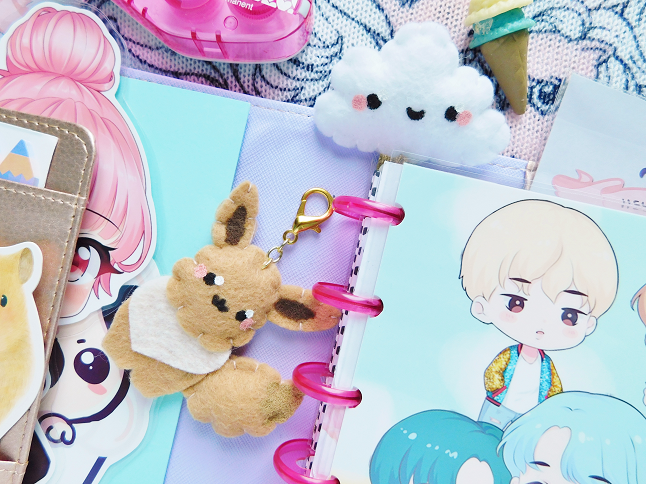 The Eevee Dangle and White Cloud Bookmark I've shown these two in some posts already but I don't think I've revealed them in a haul yet. They're both from LoveNeen. I've followed LoveNeen on Instagram for a while but this was my first time purchasing from the shop. My order took 3 weeks for it to arrive! She ships from GA which is where I live so I thought I would get my package quickly but was wrong. Honestly, it wasn't the best first experience and I eventually had to email to see if my package had been shipped yet (it hadn't) but I understand because most of the shops that I order from are usually one-woman run business so I don't mind waiting too long for packages as long as I get them. 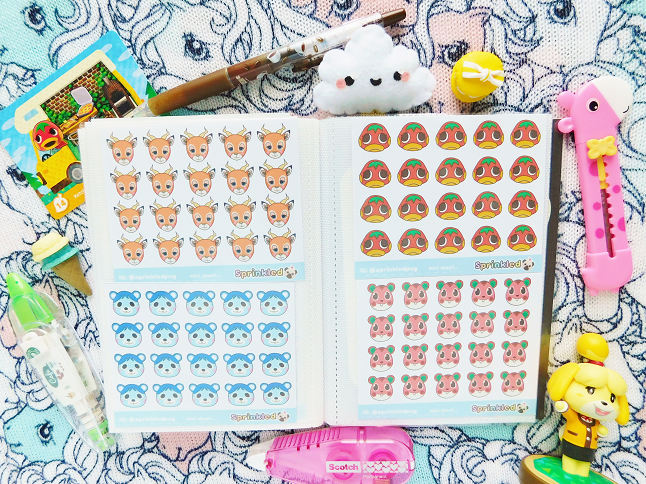 I wanted to share some of Sprinkled Pug Pocket Camp stickers. 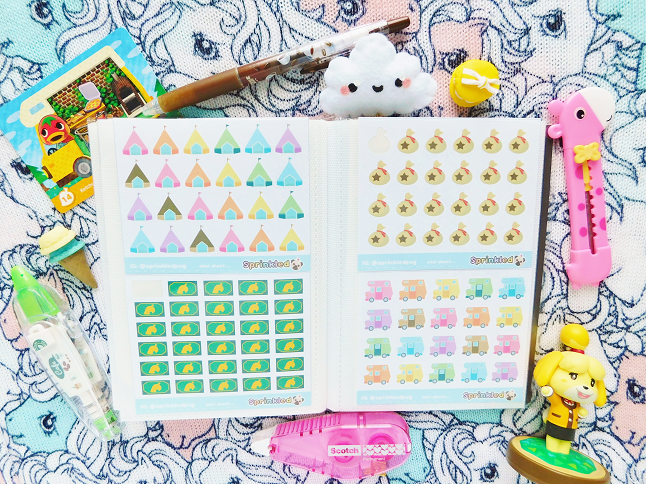 Liz made the tents, campers, a bag of bells and leaf tickets stickers. Aren't they the cutest! She also made the villagers Beau, Ketchup, Bluebear, and Apple!